This ceiling light will add a contemporary finish to any living space. 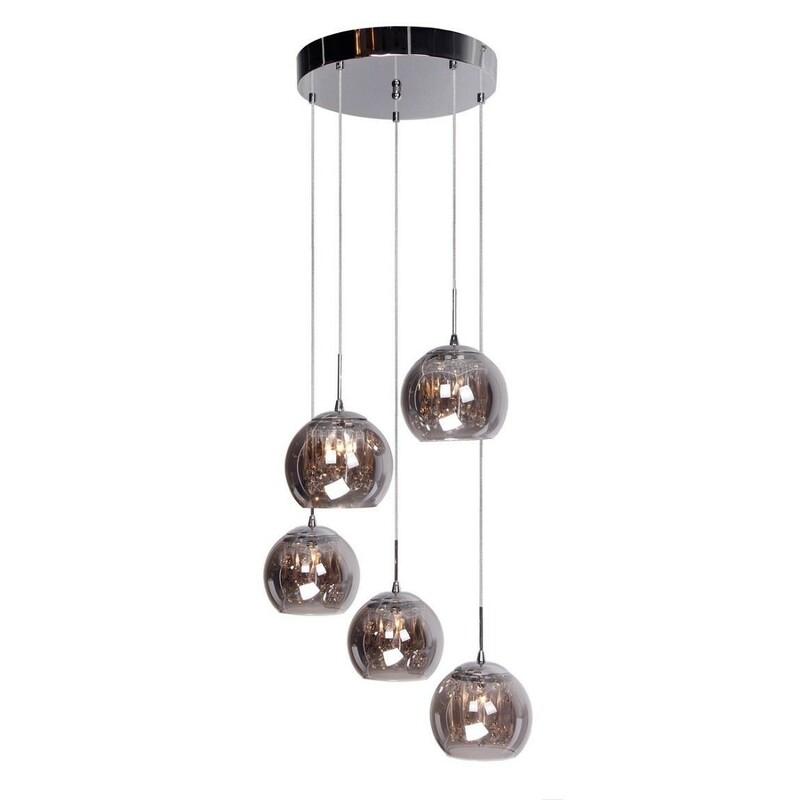 Designed with a gunmetal fitting, it features smoke glass shades with clear crystals inside for a touch of subtle sparkle. It is not suitable for use with dimmer switches and requires 5 x 20W G4 halogen bulbs.